The TangleTube is designed to facilitate bilateral coordination and visual tracking skills by maneuvering a group of colorful beads from one end of a clear flexible tube to the other. 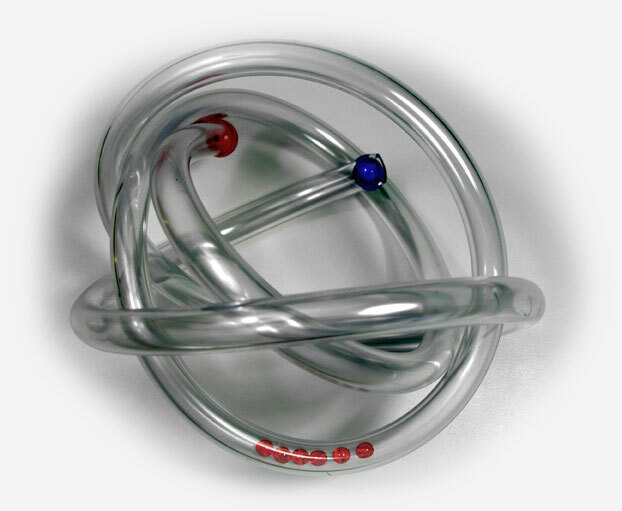 The TangleTube is constructed of a clear plastic flexible tube (approximately 6’ long) with colorful beads inside, captivated by non-removable end plugs. The TangleTube can be configured as a straight tube, a simple coil, a spiral, or other 3 dimensional shapes. A more intricate shape will produce a more challenging arrangement. One arrangement is coiled into a spherical shape in which the user must visually track the beads in different orientations and directions. For a more challenging configuration, intertwine 2 or more TangleTubes together. Reduce stress naturally with this twistable rubberized Tangle with bumpy nodes The Tangle Relax Therapy satisfies your therapy needs in the original tangle size. It's a twisty, fun way to get stress relief and hand, joint and muscle therapy. Buy several and connect them to make a long Tangle snake!